Gardeners turn up their noses at dandelions, and try their best to get rid of them. But I like their sunny yellow faces, and their marvelous delicate seed balls. They’re pretty. 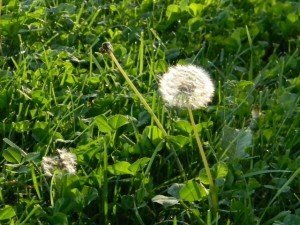 Most of all I loved taking my toddlers to the park to pick dandelions. In the spring, there were lots of beautiful flowers in neighbors’ yards that they longed to touch, pull, pick, and generally destroy. I had to steer them away. They couldn’t admire them without touching them, so we had to go somewhere else. 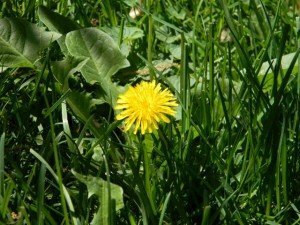 I found a wonderful substitute, the dandelion. The kids could pick as many as their hands could hold, and no one cared. We’d bring fistfuls home and put them in a vase. Could have eaten them, I hear. What a blessing, Lord, that you made this simple sunny flower for the kids to pick and enjoy.